It is that time of year when flowers begin to bud, birds sing and the sun shines a little brighter. As spring starts to blossom it is also a time when lots of people consider buying a home. If you are in the market to sell your home we have lots of information designed to help you prepare your home for spring selling season. 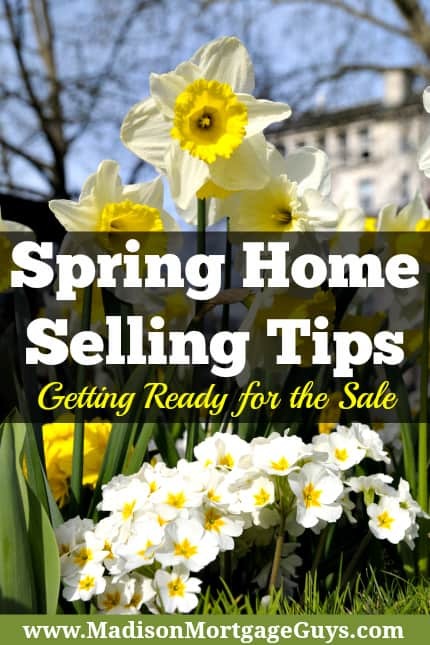 The following spring home selling tips are grouped by topic in order to help you apply this to your own situation. It may seem obvious, but the best practices used for selling a home during the bustling winter months or the color explosion of the fall months are drastically different from selling a home in the Spring. Many people take advantage of the better weather and longer days in order to tackle their list of cleaning chores. Listed below are some of the most important parts of your home that need special attention when preparing to sell the property. Clean the entire door along with the trim around the door. Then clean the floor, ceiling and the walls. Deep clean both the outside and inside of the commode. If you are handy with tools, remove the actual commode seat in order to clean around the bolt areas. Deep clean the tub and/or shower. Go through the refrigerator and clean out any old items. Thoroughly clean the inside of the fridge. Don’t forget to clean the tip top of the fridge too! Many people will look at pictures of your home online or drive by the property and take a quick peek. Since the lawn, walkway, front door and shrubs are available for all to see, it is important to make these areas look as good as you can. Developing a good impression with the yard will improve your chances of getting that important showing of the house. Here are just a few ideas to help improve your property’s curb appeal. Gutters – Clean out all of the gutters. Also, go over each section of the gutter to see if there are any types of leaks. Clear out any debris that may be blocking the downspouts. Clear away dead leaves – With the end of a long winter, there are bound to be some leaves in the yard. Remove the leaves in order to give the grass time to grow and shine. It will also give any fertilizer a better chance to work. Trim the lawn, shrubs and low branches – It goes without saying, but now is the time to give the grass a fresh mowing and trim any shrubs. It is also a good idea to cut back any low hanging branches that may obscure a vision of the home from the road. Clean up the walkway and driveway – If you have a pressure washer, or do not mind renting one, clean the driveway as well as the walkway leading to the front door. Making these areas look fresh and clean will really improve the appeal of the home. Pay attention to colors – If you wish to plant flowers, use a pattern of colors that complements the exterior of your home. Make the scheme of colors uniform throughout the garden. Inspect the roof – Make sure there are no missing shingles from the roof. While inspecting the roof, look for signs of potential leaks and have those addressed by a professional contractor. Be sure to know your roofing options as well. Readying yourself and your home for a sale includes choosing a real estate agent. The agent will be responsible for various things throughout the selling process so it is important that you choose wisely. Here are some guidelines for picking an agent. In order to get your home sold during the spring, your agent will need to list it at the correct time. If the home is listed too soon in the spring, there may not be enough interest in your property. Conversely, if the home is listed too late in the season then you may miss your potential buyer. It may seem that the best bet would be to price the home a bit high and simply wait for the right buyer to come along and negotiate. However, not all buyers are willing to haggle. It is wiser to consult with your agent and get their input before settling on a price. After you have sold your current home, what happens next? Do you plan to buy another home in the same general area or do you plan to move out of state? Are you depending on the proceeds from the first sale to facilitate the purchase of your next property? If you are in need of a contingency, then you will definitely want to explain this to your agent. Your agent can present a sales contract in such a way that protects your best interests while also moving the sale along. Most people keep their home up to date and free of any major problems. However, there seems to be a list of small, maintenance items that need repair or replacing for most every home. If you intend to sell your home in the spring, now is the time to undertake those small home projects in order to improve the safety and overall value of the home. Vertical Boards – Some people refer to these as fascia boards. They are the boards directly under your gutters that face out towards the street. Since gutters can leak these boards are prone to show signs of decay. Inspect the boards to insure they are all in good shape. Paint or siding – If you have paint on the exterior of your home, check all of the walls for any cracked paint or peeling paint. If there is siding, look for any pieces of siding that may be out of alignment with the other pieces. Also, keep an eye out for missing pieces of siding. Windows and Doors – Clean all of the screens on the windows. Repair or replace any damaged screen. If the weather stripping looks in bad shape, go ahead and replace it now. Carefully look over the kick boards of all exterior doors. These boards, located just beneath an exterior door, endure a lot of punishment from weather and foot traffic. Make sure these boards are in good shape. Deck – Clean off any debris and dirt from the deck. Either paint or stain the entire deck. Basement – Inspect the floors as well as the walls, keeping an eye out for signs of water. Take appropriate measures, such as applying waterproofing to walls, if necessary. If your home uses a sump pump now is the time to do a test run. Attic – Check the level of insulation in the attic to see if it is adequate for your climate. Also, make sure there is no moisture in the insulation. You may have to replace sections of the insulation if you find moisture. Check the ventilation to make sure it is not clogged up and allowing moisture build up. Safety measures – test all batteries for smoke detectors as well as batteries for carbon dioxide alarms. Clean the sensors with a clean cloth. A lot of small modifications can be made to boost a home’s curb appeal by simply applying a bit of sweat equity. While some of these ideas may seem small individually, collectively they can totally change the look and feel of a home. If your home has wooden trim, especially near the front entrance, you need to look over the condition of the trim. Check for decay among the boards, peeling paint or cracks in the paint. Repair or replace any problems that you see. Plan on spending significant time with the front door. This area needs to look its best to anyone that happens by your home. The knobs need to look fresh and clean. You may need to touch up some spots on the door or repaint the entire thing. Consider adding a plant or some flowers either on the door or near it. If you have a large front porch, you may want to place a nice chair or two near the door. The idea is to create a look that is inviting to potential buyers. Shutters are made of either plastic or wood. As such, they are usually easy to remove and easy to paint. Consider either removing the shutters and giving them a good cleaning or simply repaint them. Look over your mailbox with an eye for detail. Having a shiny mailbox shows that buyers that you are paying attention to the smallest features. You can either paint your existing box or pick up a new one at a local hardware store. Also, consider painting or replacing the post holding the mailbox if your homeowner covenants will allow it. You want the home to look just as good at night as it does in the daytime. Check all the exterior light bulbs and replace any that are not working. Consider adding bigger watt bulbs to make the home brighter for folks that happen to look over the home after work. If your home has any floodlights, take a moment to look at the home during nighttime hours. See what the light is showcasing and make sure the home is being seen at its best. 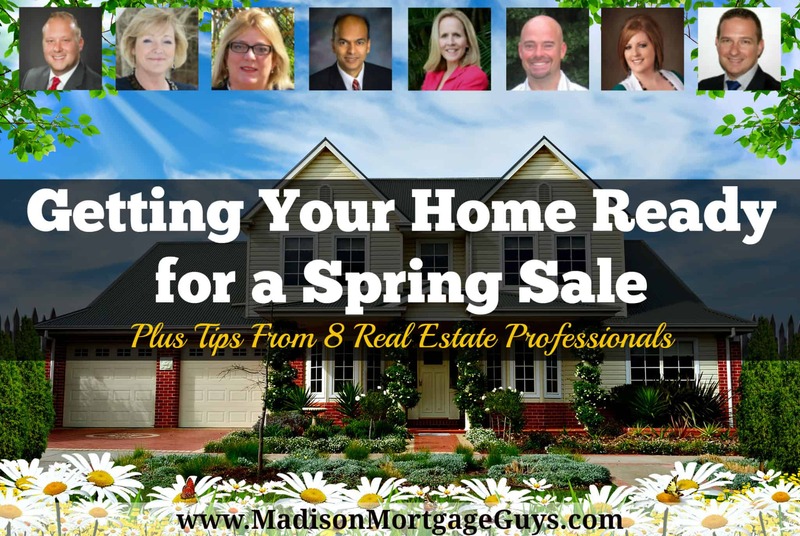 Spring Home Selling Tips, Plus Ideas From 8 Real Estate Professionals! We reached out to our network of professional real estate agents to get their input on selling a home in the spring. They have provided some real good spring home selling tips about home projects, the importance of curb appeal and maximizing various forms of marketing. Their contributions provide some excellent insight in helping you sell your home. For some additional tips on how to sell a home during the spring, I reached out to Kyle Hiscock, one of the best real estate agents in Webster NY with Nothnagle Realtors. Kyle has helped hundreds of buyers and sellers move in, out, and around Rochester since 2011! Kyle actively writes helpful content on his popular, Rochester’s Real Estate Blog. Thanks Luke for reaching out to me to get some tips for selling a home in the spring. One of the most important home selling tips, whether selling a home in the spring or any other time, is making sure your home is prepared as well as yourself and your family. It’s very important when selling a home in the spring that you know how to prepare for the spring real estate market. One of the first steps to ensure you’re properly prepared for the spring real estate market is to make sure you interview and hire a top Realtor®. Having a top Realtor® when selling a home can be the difference between a home selling or not. There are certain things a top Realtor® brings to the table that are crucial to home selling success. One of the most important things is creative real estate marketing. Selling a home is much different now than it was 5 or 10 years ago with the evolution of the internet and how buyers are searching for homes. A top Realtor® will utilize several different kinds of online real estate marketing tactics that will increase the visibility of a sellers home. It’s vital that when selling a home in the spring, buyers will be able to find it everywhere! Other spring home selling tips that are also very important are correctly pricing your home, decluttering your home, and also making sure the curb appeal is attractive. By following these tips, you greatly increase the chances of a successful spring home sale! Anita Clark is a residential real estate agent, providing quality service to both buyers and sellers in the Warner Robins Real Estate market and outlying communities. If you are a first-time seller it is very important to ensure the exterior of your home is ready for buyers. The easiest way to do that is to pick up debris, clean-up as necessary, mow your lawn, plant flowers as needed (to add color), fix any visible issues, and paint as necessary. If your home makes a great first impression you can bet buyers will be excited about seeing what the inside of your home looks like. If you cannot get them in the door, you stand no chance of selling them the home! Once inside, you know buyers will be looking with a critical eye so ensure you have fixed the things that require maintenance, have de-cluttered each room, have reasonably cleaned, and finished any home remodeling projects you may have started. The last thing many buyers want is to finish your project or know they have updates/maintenance to perform as soon as they purchase your home. Make the selection process easy for them, and your home will be sold before the spring market makes way for the summer selling season. Debbie Drummond, top producing Realtor® in Las Vegas. Specializing in luxury homes, golf course communities and high rise properties. There’s a shortage of homes for sale in most markets. This shortage should create a good Spring selling season. Sellers should remember, you still have to make good decisions. Even in a seller’s market, you need to price it right. You still need to remove clutter, make sure it shows well and hire the right Realtor. We’re seeing a lot of new construction homes in the Las Vegas market. Sellers sometimes think their home should be priced at the same price as the new home that sold a few blocks away. That approach is always a mistake. The new home has the latest finishes, under mounted sinks and new appliances. New home builders offer buyer incentives. The incentives can include money for closing costs and upgrades. The builder may pre-pay some of the HOA fees or buy down interest rates. Why would a buyer pay as much for a resale home with older appliances when they can buy new for the same price? If you have new construction nearby, your home should be priced lower than the new homes. Springtime in addition to bringing warmer temperatures also brings out the home sellers and home buyers in greater numbers. In the Greater Cincinnati area spring time is peak season for home buying and selling since many home shoppers want to purchase, close and move into a house during the Spring-Summer time frame since the weather in the Fall and Winter can make moving more challenging. 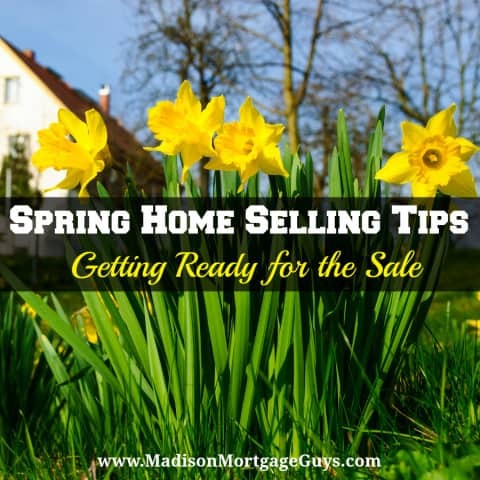 As a Greater Cincinnati Realtor I have seen my share of homes that have positioned themselves perfectly to get sold quickly during the springtime selling season. Based on my experience here are some suggestions to help you get your home ready to sell in the spring. With the temperature warming up, your landscape may not be looking its best after the snow and cold temperatures have done a number on them. Since curb appeal helps sell homes it is a good idea to start your spring cleanup early as part of getting your home ready for sale. The cleanup should include pruning dead branches and limbs off of trees and other plantings. Putting down grass seed in order to have your grass look full rather than patchy as it starts to warm up is also a great idea. Any mulch that looks old or has washed away should be replaced with fresh mulch and any weeds that may have sprung up should be disposed of. If your weather can support it you can start adding flowers to your flowerbeds in order to add some color to the landscaping. In order to brighten up the interior of your home in anticipation of a sale a good spring cleaning is recommended. From top to bottom your home should be cleaned and put in order. If rooms need painting then now is the best time to do get that painting done so when buyers come through the home looks great. Any repairs needed due to wintertime stress on the home should be done as soon as possible so there is nothing to distract buyer from the nice aspects of your home. Pricing is always a consideration in a home sale. Price it right and buyers will flock to your home and an offer as well should. Price your home too high and you run the risk of your home sitting through the Spring, Summer and Fall seasons without much buyer traffic and without any offers. 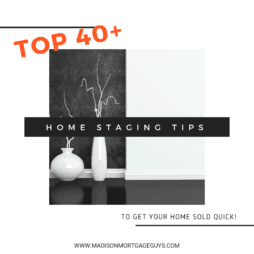 It will become much harder to sell your home when it has been sitting on the market for too long so make sure your pricing is right and always try to adjust your price if your buyer traffic starts to drop off or no offer comes in. By preparing your home both inside and outside to look great buyers will be appreciative and will want to visit your home. By pricing your home correctly those same buyers will make an offer that will help you sell your home and moving on to the next step in your life. As a dedicated Real Estate professional, Lynn Pineda sells home in Southeast Florida covering the areas of Coral Springs Real Estate to Boca Raton Real Estate. It’s what she loves to do! When you think of Spring, what do you often think about? Spring cleaning, I’m sure. Cleaning isn’t usually on the top of our list of favorite things to do, yet if it’s connected to Spring, it certainly can be a lot easier to accomplish over the course of a few days or weekends. Springtime often elicits happy thoughts as there is just something about welcoming Spring. Springtime is the perfect time to sell a home as we routinely do spring cleaning, so now you’d have more of a financially motivated reason to spring clean. Make sure you’re getting into every nook and cranny so you’ll knock the Buyer’s off their feet. Getting your Spring cleaning done is the best advice that I can offer towards being able to sell your home for the most money. There’s nothing like a freshly painted home to appeal to prospective home Buyers. Spring is the perfect time to freshen up your home’s paint. Paint it neutral too, as neutral appeals to the masses. This isn’t the time to go bold with orange, one of the least favored colors. Even though orange, when done right, may be appealing, now is not the time to test the waters. Keep it neutral. Make it neat and clean. Buyer’s love neat, clean and neutral. I’m sure you’ve heard all about curb appeal and it’s ability to grab a prospective home Buyer “at the curb”. With Spring in the air, it is the perfect time of year to enhance your home’s curb appeal, particularly if you’re selling a home. Enhancing your curb appeal can be as simple as adding a few large potted plants by your home’s front door to planting some brightly hued florals in your garden beds or along the sidewalk path that leads to your front door. Adding the sweet scent of a floral bush, such as Jasmine or Lilacs (depending upon your plant hardiness zone), can also appeal to the senses when a visitor approaches your home. Think of it as getting them in the mood before they step inside your home. Follow these 3 simple Spring home selling tips and you’ll be well on your way to packing up and moving out while selling your home fast and for the most amount of money. Remember, Spring is in the air! Bill Gassett, one of the top real estate experts in Northbridge Mass, offered up some great tips for getting your home ready for the spring homes selling season. Luke one of the most important things a seller can do to get their home ready for the spring market is to get their home cleaned up outside. This is especially true if the home is located in a cold weather climate where there could be a number of tree branches and excess leaves in the yard. Also the walk and driveway may have some sand and other debris that should be taken care of. There is nothing more important than a first impression so getting the landscape beds cleaned up and a fresh coat of mulch does wonders for making the home pop! Lastly planting a few perennials with some color is a great thing to do for very little money. Angela Duong is a Realtor® in Northern Utah working with home buyers and sellers of Tremonton Real Estate & Brigham City Real Estate, along with the surrounding areas. Spring is a great time for a home seller to put their home on the market. After a cold and dreary winter, home buyers are ready to make a move. To get your home sold the quickest and for top dollar you want to choose the right Realtor® to represent you. You will also need to prepare your home before putting it on the market. Here are three things to do before putting your home on the market. Curb Appeal You want your home to appear well-maintained. Buyers see your home from the outside first, so great curb appeal is a must. Begin by cleaning up all the leaves and debris that was missed in the fall. Trim the trees and bushes. If you don’t have tulips and daffodils to brighten up the yard head to the local nursery and pick up some that are in full-bloom. While you are at it, place some in flower pots to display near the front door as well. Don’t forget to take care of the lawn. Clean & Declutter When selling your home, you want the buyer to see the home as theirs when they walk through. De-personalize the home by removing the family photographs. Declutter by packing up anything you don’t need. Less is more when selling your home. Do a deep cleaning of the entire home. Clean the walls, baseboards, carpets, appliances, etc. Make sure to also clean the windows inside and out. Buyers look through the windows to see what views they would have. Brighten It Up You want your home to feel bright and cheery, not dark and dreary. If you have dark painted walls, repaint with light neutral colors to brighten up the space. Replace any burnt out light bulbs. Keep the blinds and curtains open to let the light in. You may also want to brighten up the place with a splash of Spring color. Place some bright yellow daffodils or another spring favorite in vases strategically throughout the home. Xavier De Buck, a top-producing Northcliff (Johannesburg) real estate agent with Pam Golding Properties, shares his knowledge and expertise by assisting buyers and sellers in achieving their life-long dreams of owning property. 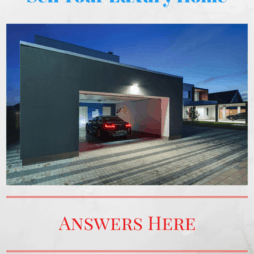 As a home seller, there are so many questions which are running through your head: is my house in the best presentable condition? Are there any urgent repairs I need to make sure to get done before going onto the market? How will I possibly keep this house neat and tidy during the last minute buyer viewings, with my kids running around like crazy? Will my nightmare neighbor be a problem during the home selling process? Even though all those topics (and more!) 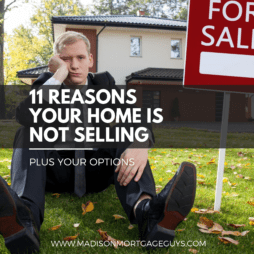 are very good ones to keep in mind, there is one major aspect of home selling each and every homeowner needs to seriously pay attention to: how does one go about choosing the right real estate agent?! Once you start paying attention to the marketing around you, you’ll notice that agents are everywhere: from the bus stop bench, highway billboard, local magazines, to radio and internet ads! Now, which one of those real estate agents should you go with when selling your property? How do you know which ones NOT to choose? Luckily, it’s quite easy which things to pay attention to once you’ve been informed, so make sure you’ve read up on what questions to ask during the real estate agent interviews! Doing so will save you a lot of potential financial and emotional headaches ahead! As you can see, there are a lot of items that need your attention when it comes time for selling your property. Keep in mind that this is a process, almost like a marathon, that will take dedication. It is a good idea to write out a plan of all the things you wish to complete and tackle them one at a time. Our goal with this article is to provide you with not only a big picture view of selling your property but also some practical actionable items that can be put to use right away. We hope this information will be of use as you prepare to sell your home in the upcoming spring home selling season.